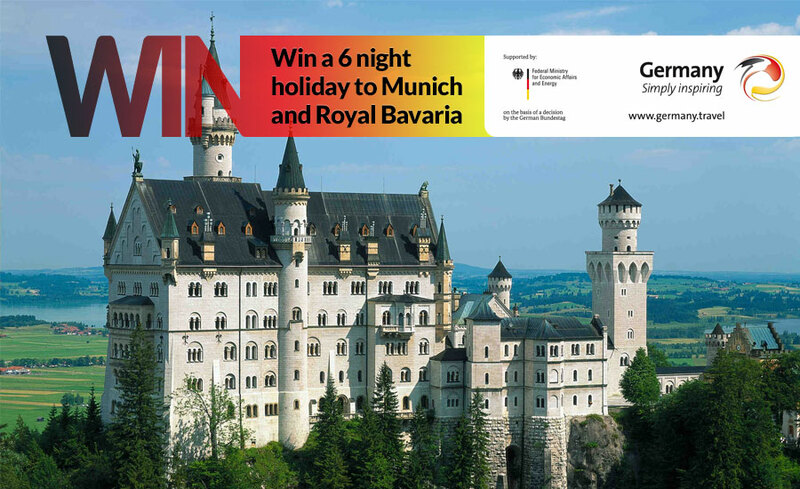 This month you could be in with a chance of winning this fantastic holiday to Munich and Royal Bavaria courtesy of the German National Tourist Office. 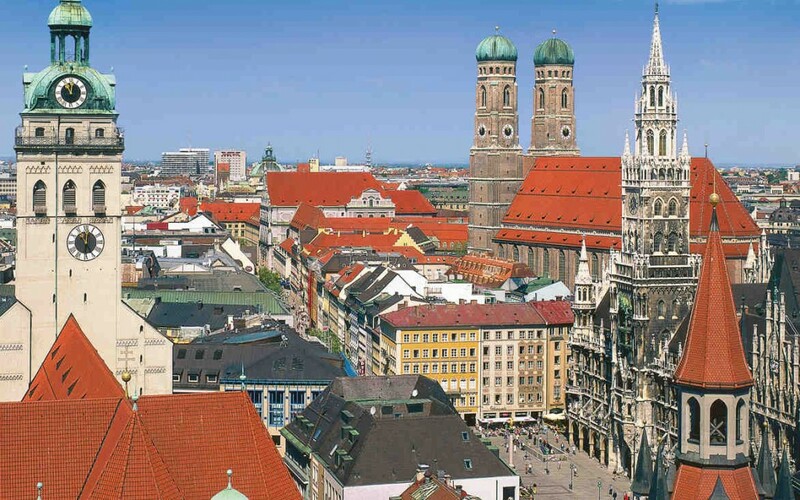 Bavaria’s capital, Munich, has often been described as Germany’s “secret capital”. The uninitiated may imagine ladies in colourful Dirndl dresses and for the chaps, fetching leather-shorts and curled-up moustaches. All true – as can be observed on your stroll through the enticing beer-gardens or when sharing a foaming stein at the Hofbräuhaus. However, if you can tear yourself away from meeting the locals, top of your list of things to do should be a leisurely walk around the Marienplatz square to see the Glockenspiel at the townhall. Tuck into a Bavarian snack – which is usually a substantial hunk of meatloaf (Leberkäse) or a Weisswurst sausage – at the Viktualienmarkt. 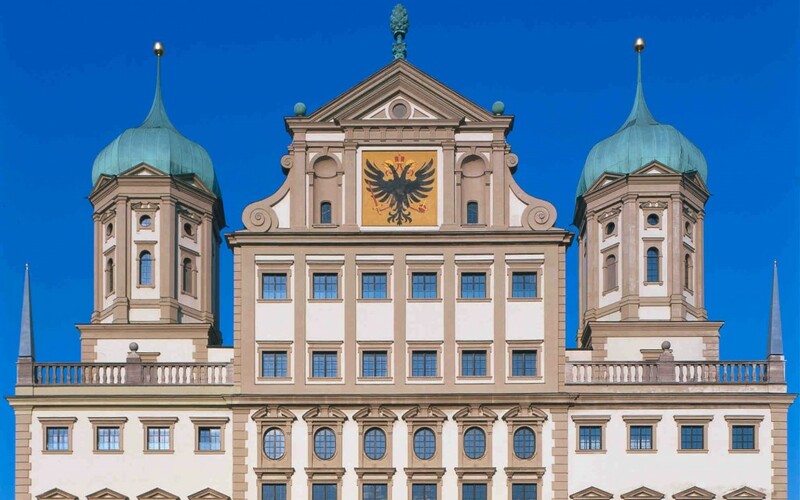 But for the culture bit, stroll to the Residenz Palace of the former Bavarian kings and exhaust your most comfortable shoes to see the Alte as well as the Neue Pinakothek Galleries or the delightful paintings at the Lenbachhaus. A short tram ride from the city centre will reveal the splendours of Nymphenburg Palace & Gardens to you. And talking of Royalty, each day of the year – weather permitting – comfortable buses take visitors to the world’s most famous castle, King Ludwig II’s enchanting Neuschwanstein (main image A. Cowin©). The walk up to Ludwig’s real estate will reveal not only the Schloss but also stunning views of the majestic Bavarian Alps. An hour’s train ride away visitors can explore the 2000year old city of Augsburg. Founded by the Romans and home to the Mozart family (before Wolfgang was borne), the town also owes a great debt to the most famous financier of the 15th century, Jacob Fugger, the founder of the world’s oldest social housing estate. Who says bankers cannot be a force for the good? Would love a few days away. This would be a fantastic trip. Have never been to Munich or Royal Bavaria so it would be amazing if we got to go. This looks like a magical trip. Everything crossed. Many, many years ago since I visited Munich, love to take my husband on a visit! Hope it's me!! It is my partner's 70th so Munich would be a lovely treat. We are both very much into such stunning scenery.! As my wife and I are about to retire, winning this German holiday would be very fitting! I have had no holidays for over 10 years so would absolutely love to win this one, it looks absolutely wonderful. Have always wanted to see Neuschwanstein Castle! Munich is brilliant, here's hoping! Looks fantastic, would love the chance to visit and explore. Would love to win this - my husband loves castles! Great prize, but your terms and conditions for this comp made me laugh - surely no UK passport holder or in fact any EU citizen needs a "valid visa for entering the Federal Republic of Germany"?? Which century do you live in? It's a pity (in 2015) that you can't go alone, it has to be 2 people!! it makes me annoyed. Dreams are made of getting the opportunity to travel to magical places. What an amazing time for us to have in our very senior years. Have never been to Germany so this would be a wonderful opportunity. Thank you. Always wanted to visit this part of Germany. The trip looks wonderful. Wow wow, would be over the moon to win this fabulous prize. Never won anything before, would love to win this. Never been; would love to practise my schoolgirl Deutsch! A lovely autumn ending to the year! What a wonderful prize for one lucky winner. Thank you! I would so love to see that castle close up, lovely prize. I have a 3D jigsaw of this castle, so beautiful. My partner has found a half brother, in Germany, he didn't know existed. It would be nice to meet up with them as well as enjoy this beautiful country. Changed planes here once but didn't get to visit - such a shame! I will have to shake the mothballs from my lederhosen. Great competition! Suitcases ready and waiting!!! This is a city I have never visited so to win would be wonderbar!! Love Germany but never been to Munich, would love to win this prize. Fingers crossed. This looks a fabulous place to visit, I would consider myself extremely fortunate to win it! Would be a lovely surprise for hubby who says I never win anything! Would love to go. Never been. Looks fantastic. Sounds a wonderful trip. Fingers crossed. Looks a beautiful historic city. if I win, might meet a handsome prince there. Ah well dream on. My husband is always saying he will take me to Neuschwanstein Castle and I'm still waiting! If I'm lucky I could take him! Have never been to Munich, would love to go, seems a very special place. It sounds great!!. Fingers (and other parts) crossed!!! Never won anything before but here is hoping !. Would love to win this holiday would be nice to have something to look forward to. Yes please I would love this! I have always wanted to visit this beautiful city, so keeping my fingers crossed!! another one on my bucket list! sounds wonderful. Would be a wunderbar 55th birthday treat! Always wanted to see that beautiful castle. It is a country that we would love to visit having heard so much about from friends. Another lovely area to visit, wonderful. Fingers & toes crossed !! It just sounds magical I would love it. What a great prize, and its in a lovely part of Germany, somebody has to win it, hope they enjoy it if its nae me. I would love to visit Munich, Bavaria fascinates me. Wonderful prize. . Would be great to explore this area. . Hoping to be the lucky one! thank you. Ive only ever holidayed in Spain and Portugal, so need to expand my horizons. Winning the trip to Munich would be a brilliant way to do it. My Father was in the Army. And the policy of the time was to ship pregnant wives back to have babies born on British land. I could have had dual citizenship If I was born nowadays. They look after their own more than our Government do for us..
A win would be my first visit to Germany. Looks really interesting. Fingers (and everything else) crossed! Never been, it looks beautifull, would love to go. I have only been there once, it was in 1978, the last ever holiday with both of my Parents, would love to now be able to take my daughter. Just out of hospital so could do with a little holiday. Love to go there! Looks amazing. I haven't been there for many years. It would be nice to be able to return. Always wanted to visit Munich. What a wonderful prize. I would love to experience the different culture. Looks beautiful .We have had an awful year ,a holiday would be wonderful . never been would love to go. Would love to go as neither my husband or I have visited Germany and this prize to Munich and Bavaria looks stunning. Would be great to win this. Used to visit Munich some years ago when I worked for BMW whose headquarters are based in Munich. It`s a beautiful city and would love to re-visit as a tourist! Two years ago, we had to stop going abroad for holidays due to my wife's health. She is now getting back on her feet again, and this would be a lovely trip for her as we both loved German holidays and have missed them. it's not too far to travel for her either. My husband and I went to Munich several years ago and just loved the city would dearly love a return visit. My husband went to Munich on business and enthused on its beauty. Unfortunately he passed away before we could return together and visit all the sights he had so vividly described to me. I would really love to win this prize. Such a beautiful location. Can't wait for my tickets to arrive. Have had a really rotten time so this would bring a smile back to my face. It would be lovely to win anything really but especially a holiday! Sounds idyllic! A great prize as a celebration. Would love to pay a visit to this picturesque area of Europe. Could be a great anniversary gift? Always wanted to visit the Neuschwanstein! Fond memories of Chitty Chitty Bang Bang. Beautiful scenery. I've never been to Germany before or won a holiday so this would be fabulous ! Sounds fab, hope I win! always wanted to visit munich, have been to berlin that was very good. ..will this be a first trip to Germany?..I doubt it knowing my luck..
got my German hat ready! This is an amazing price, full of interesting sightseeing opportunities. I hope I'm lucky! The only place in Europe I have been to is Amsterdam, so I would dearly love to get the opportunity to visit Germany. It looks like a fantastic place. Brilliant prize, last time I was in Germany was 1967 ! I once visited the beautiful area around Heidelberg in Germany and have always wanted to return to see more of the country. Would love to visit this country to see the different sights and try the food. Time to visit Germany again! looking forward to visiting a beer haus! I need to taste authentic Black Forest Gateau! Looks like a fabulous holiday. The last time I visited Germany (Cologne) was around 35 years ago when my husband was working for a German company. It was wonderful and I loved the place but never had the chance to go back. We are now going through a divorce, so if I had the chance to go again it would be with my mum or my daughter and it would be a wonderful way to re-start my life. Would be a very interesting and informative tour. I have never been to my husbands place of birth (Germany) so will keep everything crossed. Look forward to reading and following your Facebook site. What a wonderful itinerary - fingers crossed! Love that part of Germany! A hotel stay would be lovely! Please, let it be me!! What a wonderful holiday. Somewhere I've always wanted to go. Not been to Germany for a few years now, but never been to Munich would be a lovely break for my husband and I. Have never been to Germany would you believe it ??? This would be a lovely experience after reading the above described reviews. Would love to visit Munich with my husband! We've just had to cancel a holiday at the very last minute due to illness, this would be a fantastic surprise for my husband and something to look forward to. Hope it is us fingers crossed! 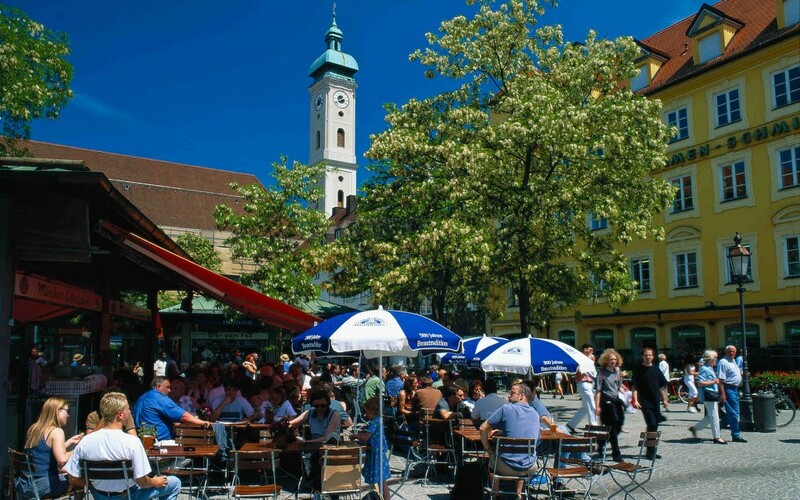 Munich is such a beautiful city, would love to go there and soak up the atmosphere and visit a proper beer house! The last time I went to Germany was with my late mother. I would love to take my new partner there as she has not done much travelling. Unfortunately my wife an I have not been able to take a holiday for some time and as we spent 2 very happy years at the start of married life in Hamburg this would be a dream break to return to Germany. Both my partner and I haven't had a break together this year so this would be a fantastic chance to recharge the batteries! would love to share this fabulous prize with my hubby. Beautiful Country, lovely people and a fabulous trip. Would be a very welcome boost in a bad health year. Would love the chance to visit Germany. Went to the Black Forest area many years ago. It was wonderful, had snow, had to buy some watertight shoes! Was early September! Having been my Mother's carer for the last six years, I have not had a holiday......it would be so lovely to get away ...and this holiday sounds like just my cup of tea.If I won I would take my fried who has been quite unwell this year. Have worked with many German teachers before and never had the courage to visit Germany as I do not speak the language. This would be a great opportunity. Wow what a prize! Never been to Germany but if I won, I'm not sure my O Level GCE in German would be enough. never been to germany and always wanted to go. its a place that has always been on my list to see. would be one of my dreams come true if i could go. thank you. I've heard so many good things about Germany I'd love to go see. Never been to Germany, what a great way to start! This looks an absolutely super prize holiday. I would love this trip to Germany. Since my husband died, I've been trying to visit places I've never seen. Hope I'm lucky. Have never been to Germany would be lovely for my husband and I to visit. Would love to win this also! Not been to Germany, looks wonderful! We'd love to win this. Heard a lot about Germany and how hard working people are there.Would love to experience at first hand. Would love to win this to celebrate making 70 and recovery from chemotherapy! Was last in Germany 30 years ago and this would be a wonderful prize to win for our 59th anniversary. I have never been to Germany, looks a great place to visit, might be lucky. great prize, good luck everyone ! My daughter took me to New York for my recent birthday, so it would be great to surprise her with a trip to fabulous Munich! she was 14yrs old on her first visit...Ya! 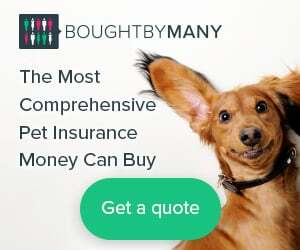 Never been - would love to! have been already and went to the beer festival, injured my finger on one of the faiground rides ! I have always wanted to visit this castle, what a fantastic prize fingers crossed. Looks fabulous, we have always wanted to go to southern Germany and Munich in particular. Looks great just what we need,we have not been there. So much culture and history to explore. Lived here over 40 years ago and would so love to go back and revisit old haunts and special areas. I would love to win this holiday as my my dear friend Craig has just relocated to Ausburg and I really miss him! I also love the architecture and lifestyle. Thank you for the opportunity to enter. I would love to win this holiday and give it to my wonderful parents. They would enjoy it so much. They are two very special people. Would love to win this holiday, my wife and I have been married 42 years never been on holiday in Europe. It would be a nice little romantic break for us! Never been to Germany, looks a lovely country. Will keep my fingers crossed, and say you've got to be in it to win it!! We just love Germany used to live there many years ago. Have not seen this area, looks grand. We used to live in Germany, never seen this part though, would love to visit. Would love to win this - such a picturesque part Europe! Good luck me! Never been to Germany so maybe this is my chance. lets think positive eh !! Fantastic prize, now where is my phrase book? Fingers crossed, this would be an amazing trip to share with my sister. What a beautiful city it looks. Fantastic prize.Would love to win .We have had a terrible year .What a difference it would make . Great prize. Thank you for the opportunity. Always wanted to go to Munich. Always wanted to visit Munich. This would be amazing. Neuschwanstein - have seen from a distance but would love to visit. Beautiful part of the country. Absolutley love Germany, Have visited around six times now on various holidays. My last holiday was in Stralsund, a mixture of both modern and new. Must say that there best kept secret is the island of Rugen, super beaches and the villages so clean and well cared for. Can`t wait to return again.